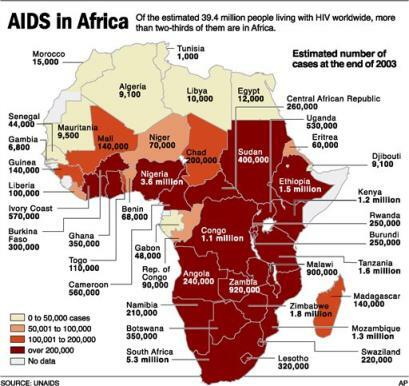 Sub-Saharan Africa is currently the epicenter of HIV/AIDS infection having 70% of the world infections in an area that has only 10% of the global population. Researchers have also found a very close relationship between TB and HIV/AIDS and argue that the two diseases are known for activating and reactivating each other. Cartographic and GIS techniques are being used to develop measures for monitoring the geographical spread of the HIV/AIDS pandemic over three years and TB and HIV incidence levels over two years in selected countries across sub-Saharan Africa. For more information about this story, please read the full article here.